Spring is just around the corner, but the flowers have yet to bloom. The children are waiting for nice weather, the weeds have popped out of the earth, but the flowers remain steadfastly hidden underground. It takes the clever Dandelion Queen to figure out why, and bring about the first blossoms of the season! 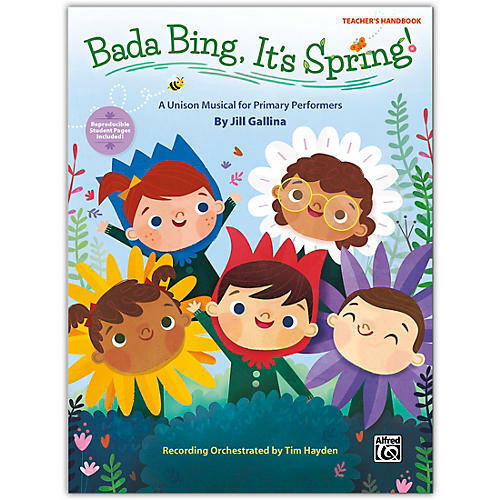 This charming, easy-to-stage musical is designed specifically for grades K--4. The unison songs, brief rhyming script, creative costume ideas, and simple staging suggestions will make your primary production a snap. Reproducible student pages, full performance and accompaniment recordings, plus full-color cover art are included on the enhanced CD.